Products of the High-Precision Weapons Holding (part of Rostec Corporation) are well known all over the world, including in the Gulf countries. Russian brands like ‘Pantsir-S1’, ‘Kapustnik-B’, ‘Konkurs’, ‘Metis-M1’ and others made by High-Precision Weapons Holding are determining technological and combat future of high-precision systems all over the world. This Russian holding is the primary designer and manufacturer of Russian high precision weapons is engaged in producing the world’s best types of high precision weapons. Professionals and guests of the Gulf Defense & Aerospace 2017 in Kuwait may fully realize it on the scene. Professionals and guests of the Gulf Defense & Aerospace 2017 in Kuwait may fully see it in the exhibition. Russian High-Precision Weapons Holding (was founded in 2009) includes 19 enterprises being mostly world leaders in their production and technology segments. The holding consists of a number of largest leading defense enterprises that are well known on the world arms market. It is sufficient only to mention such brands as Shipunov KBP Instrument Design Bureau, Tula Arms Plant, Tulatochmash, Tactical Missiles Corporation, Nudelman Precision Engineering Design Bureau, Kovrov Electromechanical Plant, V.A. Degtyaryov Plant, All-Russian Scientific Research Institute Signal, and others. Most of them are national and international leaders in their segments. Holding is the world largest science and technology complex engaged in developing and creating high-precision weapon systems for combat tactical zones. The company being a member of Rostec Corporation, the world largest engineering corporation, is among the leading designers of state-of-the-art weapons in the world. According to military experts among the calling cards of the company is first of all the above-mentioned ‘Pantsir-S1’ air defense gun and missile system made by Tula instrument design bureau (KBP), ship-based ‘Palma’ air defense artillery system armed with ‘Sosna-R’ missiles, ‘Kapustnik-B’ fire control system, ‘Kornet-E’, ‘Konkurs’, ‘Metis-M1’ antitank missile systems, ‘Krasnopol’, ‘Arkan’ guided missile systems and others. The majority of weapons being exported by High-Precision Weapons is second to none in the world in terms of performance and efficiency. An average annual increase of the company’s export deliveries is 25-40% that is certainly a world record in the sector of high precision weapons. Middle East, North Africa, Arabian Gulf countries and India are among the most stable importers of the company-made products. Recently there has been also increasing export activity in the markets of Southeast Asia, Latin America, Central and South Africa. Besides, according to military experts there is every reason to believe that by 2020 export delivery volume of High-Precision Weapons Holding may have been increased twice. 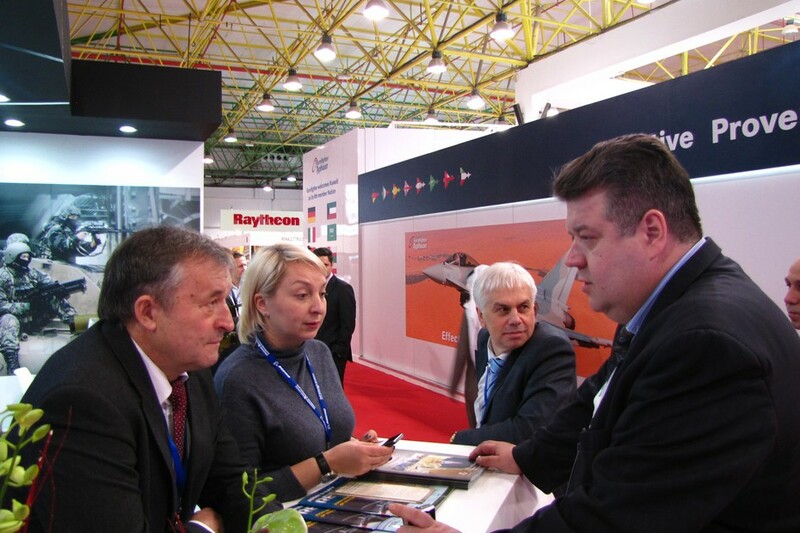 It is clearly seen at nearly every international armament exhibition where the holding company takes part, its products (both at displays and open sites) are leading objects of regard for experts and ordinary visitors. This is also because everybody wants to take a closer look at famous ‘Pantsir-S1’ or ‘Kornet-E’ and meet the people who create the most efficient and advanced weapons in the world. Such a success can be explained by increasing deliveries both to the Armed Forces of the Russian Federation and to the foreign market. According to an SIPRI expert, ‘the Russian companies ride the ground-swell of boosts in military spending and arms export. Eleven companies from the top 100 list are Russian ones. Their income has increased by a total of 48.4%’. It also can be noted that the High-Precision Weapons Holding belongs to the top 10 world’s defensive rankings by an overall production and supply increase rate. According to world military experts among the calling cards of the company is first of all the above-mentioned ‘Pantsir-S1’ air defense gun and missile system made by Tula instrument design bureau (KBP), ship-based ‘Palma’ air defense artillery system armed with ‘Sosna-R’ missiles, ‘Kapustnik-B’ fire control system, ‘Kornet-E’, ‘Konkurs’, ‘Metis-M1’ antitank missile systems, ‘Krasnopol’, ‘Arkan’ guided missile systems and others. The majority of weapons being exported by High-Precision Weapons Holding are second to none in the world in terms of performance and efficiency. An average annual increase of the company’s export deliveries is 25-40% that is certainly a world record in the sector of high precision weapons. Middle East, North Africa, Persian Gulf countries and India are among the most stable importers of the company-made products. Recently there has been also increasing export activity in the markets of Southeast Asia, Latin America, Central and South Africa. Besides, according to military experts there is every reason to believe that by 2020 export delivery volume of High-Precision Weapons Holding may have been increased twice. It is clearly seen at nearly every international armament exhibition where the holding company takes part, its products (both at displays and open sites) are leading objects of regard for experts and ordinary visitors. The newest defensive sensation from High-Precision Weapons Holding was the presentation of anti-aircraft artillery weapon system ‘Pantsir-ME’ in Saint-Petersburg (the end of June this year). The creation of new innovative defense complex confirms the fact that Russian High-Precision Weapons Holding is one of the world leaders in creating modern weapons. There was an absolute sensation in the world of military innovation. The system provides the ultimate protection against modern air threats, including small-size unmanned aerial vehicles. The naval missile and anti-aircraft artillery weapon system ‘Pantsir-ME’ developed by the Tula KBP (part of the High-Precision Weapons Holding) provides the ultimate protection against modern air threats, including low-flying and small-size unmanned aerial vehicles. The naval weapon systems ‘Pantsir-ME’ and its forerunners ‘Kashtan’ and ‘Kashtan-M’ developed by the Tula KBP (part of the High-Precision Weapons Holding) are the only systems in the world that combine a powerful artillery armament, an effective multimode missile armament and an integrated radar-optical armament control system in a single turret mount. Equipped with two types of armament (which is already a considerable advantage), these systems have better characteristics of each individual armament type as compared to their analogues. ‘Kornet-EM’ multipurpose missile system provides for engagement of modern and future tanks , various fortifications (pillboxes, bunkers) and low-velocity aerial targets (helicopters, assault aircrafts and UAVs) in day&night and adverse weather conditions under enemy ECM and optical jamming at ranges up to 8-10 km. The ‘Kornet-EM’ system comprises: combat vehicle with two automatic launchers and operator’s panel with a display; battery commander's reconnaissance and control vehicle, equipped with combined surveillance system including TV, IR and radar reconnaissance aids, navigation, communication and data exchange systems, automated control suite and weapon system (‘Kornet-EM’ ATGM and PKTM machine-gun), guided missile with HE warhead with impact and proximity fuses and firing range of up to 10 km; an antitank guided missile with a maximum firing range of 8000 m and shaped charge warhead armour penetration of 1100-1300 mm which enables the Kornet-EM system to engage modern and future tanks bearing in mind the tendency to growth of their armour protection. Such performance specifications endow ‘Kornet-EM with the highest target handling capability among similar existing and future systems - min. 3-4 targets per minute at ranges up to 5 km. Thus, in case the weapon systems are positioned at a stand-off range from enemy tanks (more than 4 km) a single Kornet-EM battery of 9 combat vehicles is able to repulse an attack (i.e. destroy min. 50% of targets) of enemy tank (М1А2 class) battalion (58 tanks). Actually, such mission may be accomplished by two battery salvos, destroying 32-34 tanks, i.e. 55-60% of the battalion. The time required to accomplish the mission will not exceed 1 minute, allowing to avoid casualties, since the enemy tanks will not be able to to reach their effective firing distance. UAV on a reconnaissance mission lets enemy well in advance disclose defence, give accurate target designation for firing over-the-horizon munitions, record and transmit information on army relocations both during operations near the line of contact with enemy and in the rear. This results in significant increase in casualties and possible failures of combat mission performance. From the point of view of engagement, UAVs are difficult targets due to low altitude of flight. Moreover, in case of mass application they are a teaser for the air defence assets, causing high consumption of expensive surface-to-air missiles. The well-known ‘Krasnopol’ artillery guided projectile (AGP) developed by KBP Instrument Design Bureau (Tula, Russia) is in service with the Russian Army and with armies of several other countries. ‘Krasnopol’ showed itself very well at demonstration tests, battle exercises and local conflicts when fired from both the152 mm artillery systems (D-20, 2S3, 2S3M, 2S19) and foreign-made 155 mm artillery systems (M109 family, G5, G6 and Bofors). Both Russian-made (1D20, 1D22, LTsD-3M developed by Polyus, Moscow) and foreign-made (DHY307 made by CILAS, France) laser designators/rangefinders are used for the ‘Krasnopol’ system. Despite of the fact that a number of countries have been conducting intensive research work aimed at development of self-contained mm-waveband and IR-wave band seekers, the artillery ammunition load should comprise highly precise ammunition with semi-active laser homing head because main task of conventional artillery is to engage observed targets, including obscured and low-contrast targets – firing points, engineering constructions, concealed vehicles and equipment. This fact is also confirmed by foreign specialists. As reported by US sources, 75% of combat operations in Iraq involved guided ammunition firing against targets with low thermal signature. As noticed by the US specialists “The use of “fire-and-forget” ammunition in this situation is complicated and expensive”. Therefore, in foreseeable future the systems with semi-active laser homing will be in demand, as judging by the experience gained during the recent years nature of probable armed conflicts has changed and artillery missions, in particular, are accomplished not by means of a massive attack but means of engagement of selected targets, including urban warfare operations in presence of civilians. Accomplishment of such missions requires participation of a human being in selection of a target. With the said purpose KBP developed the ‘Krasnopol-M2’ system that provides the following advantages over the standard ‘Krasnopol’ system: the firing range of the new system is significantly extended; new projectile lethality is almost two times higher than that of a standard ‘Krasnopol’ projectile and provides unconditional kill of future tanks and strongly fortified fire positions; does not require mating of two sections unlike in the ‘Krasnopol-M2’ projectile; provides flexible cyclogram of onboard systems activation on the trajectory to ensure optimal guidance trajectories; the ‘Krasnopol-M2’ FCS provides automated fire control and input of the projectile flight time cyclogram into projectile; FCS ensures day-and-night combat application and automated calculation of the system’s firing settings. The rocket-assisted grenade launchers earned a reputation of convenient, efficient and popular close range engagement asset. Further, the introduction of various types of warheads has considerably broadened their application range. Their high combat power (comparable to that of artillery projectiles), as well as small dimensions and low weight, allowing employment as shoulder-weapon, turns them into one of the main infantry fire support means in a wide range of missions. The experience of law enforcement and counter-terrorist operations shows that in most cases such missions take place in urban areas or separate buildings. This eliminates the possibility or hampers the employment of combat vehicles for engagement lightly-armoured vehicles and low-vulnerable targets concealed in shelters or terrain and unreachable for the small-arms. Under such circumstances the weapon should be extremely light-weight (to allow higher ammunition carrying capacity), highly maneuverable (small dimensions) and accurate, as well as possess long firing range and powerful warhead. KBP Instrument Design Bureau have been over a long time involved in the researches aimed to extend the firing range and enhance accuracy of grenade-launching (flame-thrower) system rounds, as well as increase the payload relative to the total weight of the weapon. The R&D resulted in rocket-assisted infantry flame-thrower of increased range and power with thermobaric warhead (RPO PDM-A), adopted for service with Russian Army in late 2003, which proved the efficiency of the solutions implemented by KBP into the new method of grenade-launcher (flame-thrower) rounds propulsion. Further, based on the design of RPO PDM-A, KBP developed a small-size grenade-launcher system (SGLS) ‘BUR’. The wide range of missions and specific requirements of a number of defence and law enforcement agencies, for which this multifunctional weapon was intended, determined a need for system approach to its development. The launcher features a metal plate with a dove-tail side-rail for mounting the sights which are zeroed with a particular launcher. The grip incorporates a miniature generator providing an electric pulse required for launch. The grenade-launcher rounds comprise a launch container, motor and grenade itself. The container and motor are uniform for all types of rounds, whereas only a grenade payload varies. However, the warhead is designed in such a way that the payload variation does not affect the exterior ballistics, allowing employment of optical sights for firing all types of grenades. The governmental testing of ‘BUR’ SGLS is successfully completed. The small-size grenade-launching system is intended for: engagement of manpower in urban environment, inside buildings, fortifications, as well as exposed on various terrain (including mountainous areas); inactivation of soft-skinned and lightly-armoured vehicles. The system allows firing from limited space rooms. The system ensures reliable firing within the whole operational temperature range: from minus 40оС to plus 60оС and in adverse conditions. While developing the SGLS the designers managed to create a highly accurate rocket assisted grenade launcher allowing effective engagement of wide range of targets depending on the mission scenario at ranges up to 650 m. To guarantee high accuracy of firing a ‘reactive-active’ grenade propulsion principle was introduced, since standard methods, e.g. increase of the booster motor power or employment of sustainer motor running during the flight, lead to increased size and weight of the weapon or higher dispersion respectively. The “reactive-active” propulsion principle implies jet thrust acceleration of the grenade placed in a barrel fixed to the jet engine and simultaneous active acceleration in the moving barrel due to gas bleeding from the engine chamber. Further, the barrel and engine stop, inducing additional acceleration to the grenade. Thus, the energy induced to the grenade is increased (doubled) and accordingly grows the muzzle velocity compared to that of the conventional design grenade launchers with similar container length. However, high grouping of shots is maintained. The efficiency rate was practically proved in the course of the system testing at KBP and by subcontractors. Creation of highly efficient and at the same time easy in operation grenade launching system allows engagement of most targets in close-range battle, as well as flexible response to the changing combat environment due to employment of various warheads. The system may become a demanded light weapon for various services of defence and law enforcement agencies. High-Precision Weapons Holding is the world largest science and technology complex engaged in developing and creating high-precision weapon systems for combat tactical zones. The company being a member of Rostec Corporation, the world largest engineering corporation, is among the leading designers of state-of-the-art weapons in the world.